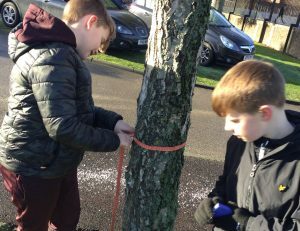 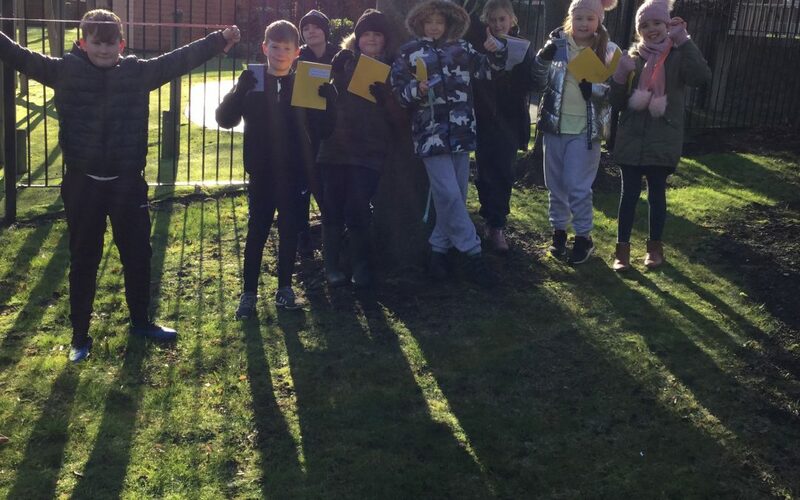 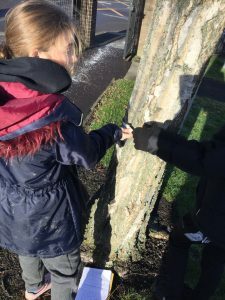 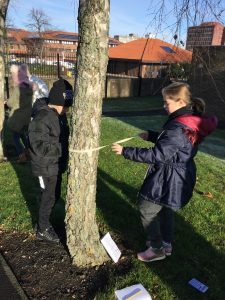 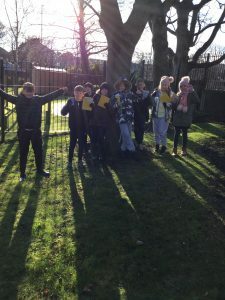 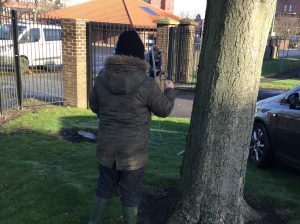 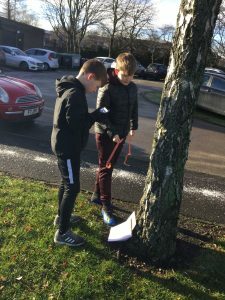 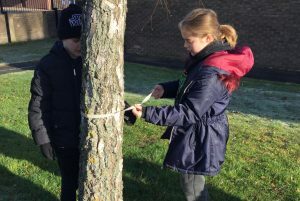 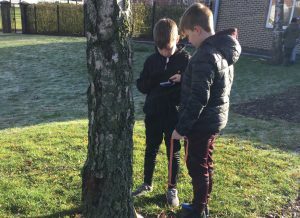 As part of their outdoor learning the children have been investigating the age of different trees in our school grounds. 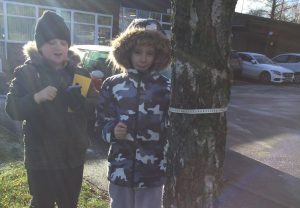 To do this the children measured the circumference of a tree and then divide the number by 2.5. 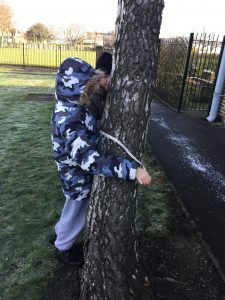 This is because a tree’s trunk roughly grows 2.5 cm per year.